Sieger Suarez is one of the leading architectural teams in South Florida and they conceived the breath taking Sayan, in beautiful Sunny Isles Beach. This graceful tower incorporates classic south Florida motifs with materials including coquina stone to create a mythical oasis to call home. It stands 30 stories tall and has 90 residences in one to three bedroom configurations, each with specific attention to details that enhance the stunning views from each unit. Within each residence, you will find a number of conveniences from the European kitchens with imported granite and top of the line appliances and fixtures for the novice chef to a complete gourmet. Baths are sleek and functional with frameless showers and whirlpool tubs to luxuriate. Naturally, residences have floor to ceiling windows and oversize balconies for enjoying sunrises and sunsets. The Sayan properties focus on serenity including 24 hour security, infinity edge pools, many water features, billiard rooms, lounges with garden and pool views, gazebo with showers and spa, beachfront cabanas, and complete spa with group fitness classes. Sayan speaks to those looking for complete peace in a residence and property. 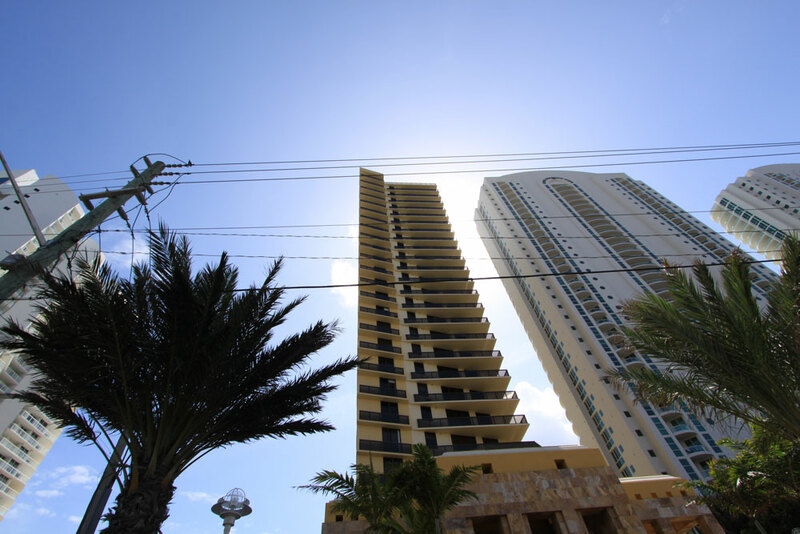 Located north of the barrier island of Miami Beach, Sunny Isles is home to some of the most luxurious developments in South Florida. It began as a tourist destination as early as 1920 and has continued to be a popular destination for the elite. Developers favor this area since it sits on white sand and some of the most acclaimed architects and builders continue to break ground including Micheal Dezer to Donald Trump. It is minutes from Bal Harbour to the south and to the north, Aventura. Both the Fort Lauderdale Airport and the Miami International Airport are approximately a 30 minute drive and executive airports are 20 minutes. From shopping to dining, Sunny Isles has a little something for any taste or palettes.